Controp Precision Technologies extends its maritime surveillance capabilities, launching the iSea-25HD – the newest member of its family of surveillance systems for maritime missions – at Euronaval 2018. The iSea-25HD was specially designed for maritime vessels and remote weapon stations (RWS). According to a company release, the iSea-25HD features a unique stabilization system that enables a stable, continuous and uninterrupted line-of-sight (LOS) – ensuring a very clear picture, even in the roughest of seas. The system is capable of interfacing with RWSs, such as Rafael's Typhoon System, whereby maintaining boresight in conditions of shocks and vibrations. The iSea-25HD incorporates digital and mechanical compensatory mechanisms developed by Controp to significantly contribute to the shooting precision. The robust system withstands even the harshest environmental conditions including fog, salinity, and moisture, the company said. 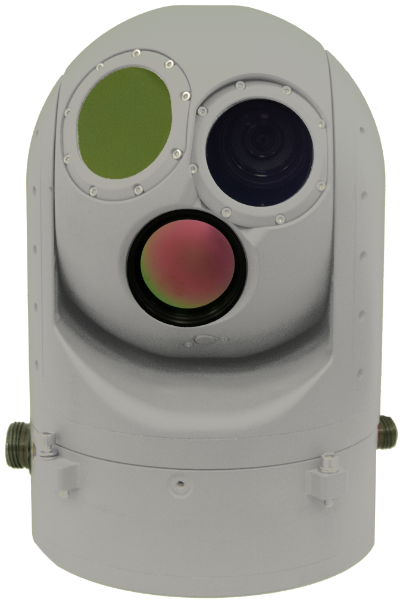 The low-weight, gyro-stabilized system provides maximum range surveillance using highly sensitive sensors, including a high-performance Thermal Imaging (TI) Camera using 3-5µ IR detector with a continuous zoom lens, a high sensitivity color Day Camera, and an Eyesafe Laser Range Finder (LRF). Additional features include advanced image processing and video enhancement algorithms. Applications include border surveillance, search and rescue missions, EEZ protection, Special Ops, law enforcement and counter-piracy operations.